KMR is a global leader in the area of biopharmaceutical benchmarking in R&D. 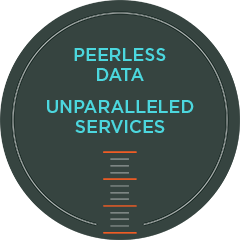 We offer peerless data on topics ranging from Discovery to project cost analysis, enrollment performance, and R&D productivity. On the clinical side, we offer an entire suite of services to enable effective management of clinical trial performance. The suite includes an unparalleled set of products to address enrollment at both the trial and site level, as well as clinical trial cycle times and clinical development productivity. At the portfolio level, we offer a range of products including project cost analytics, success rates, cycle times and more. KMR works closely with participants to shape the content of our benchmarking studies and to answer the questions of most interest. Our studies are conducted with the utmost integrity, emphasizing data quality and value added analysis with a firm commitment to confidentiality. Companies participating in KMR programs have the ability to access data via on-line tools. For more information on any of KMR’s programs or to find out what programs are currently underway, contact KMR.